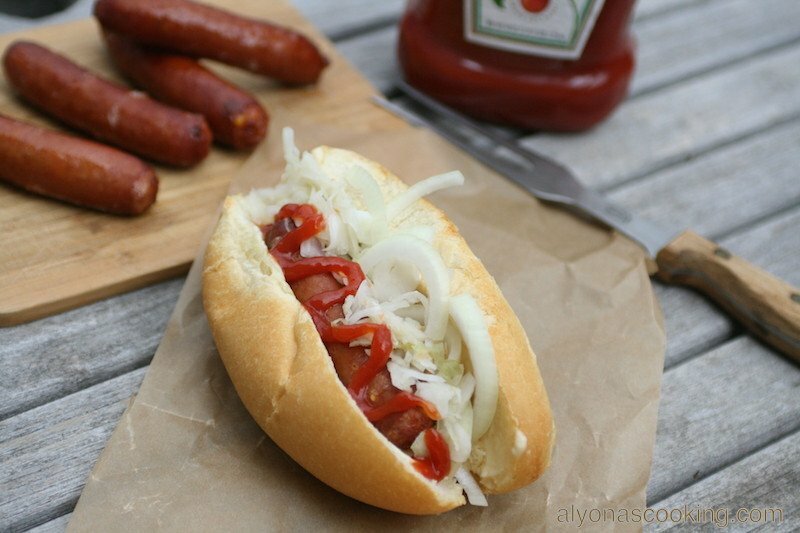 These cheddar wursts (Wisconsin cheese smoked sausage made from pork, turkey and beef) are no ordinary franks. You won’t even taste the cheese in these wursts but do they taste good. 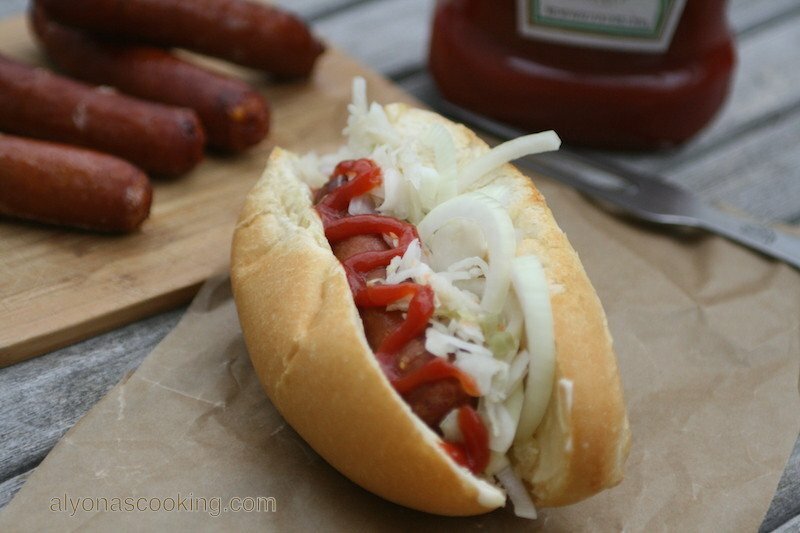 I was inspired to make these after my husband mentioned how he had these really good franks in a bun filled with sour kraut, onions, mayo and ketchup at a flea market back in the Ukraine. 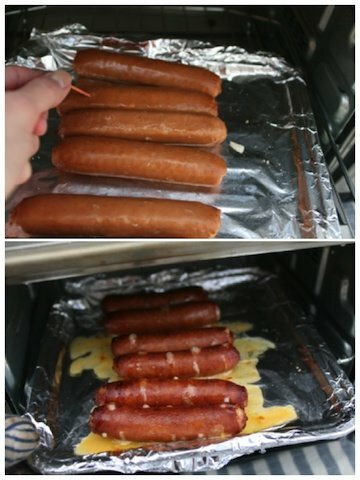 So my task was to recreate those delicious franks. They are quite satisfying and really, really good. Not to mention how quick and easy these are to prepare. Now these won’t taste like hot dogs. 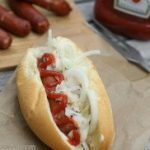 In fact you can use any wurst blend you prefer as most grocery stores sell a variety, but as I have mentioned before you can’t really taste the cheese in these so feel free to go ahead and try the cheese wurst. 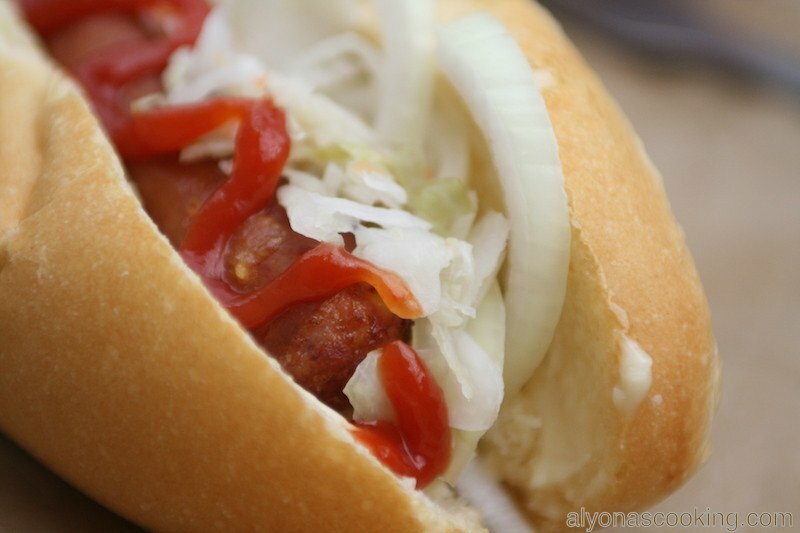 I like that the sausage “wurst” actually tastes like a sausage and not something like a hot dog with a bologna texture. 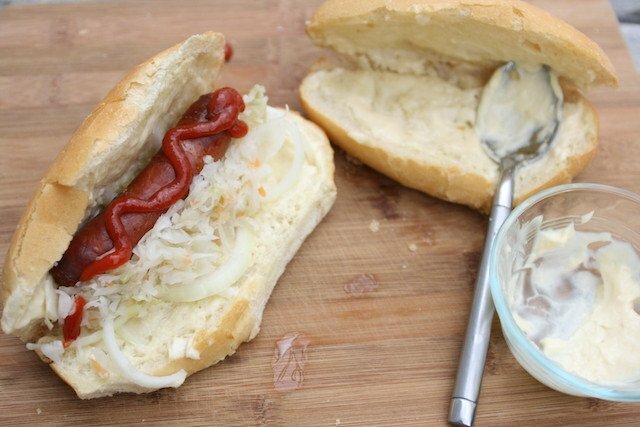 Now don’t get me wrong, I do enjoy hot dogs but I really recommend the wursts for this style bun as it goes so well with the sour kraut and crunchy onions. Feel free to get creative and add any toppings you like. Enjoy! 1.) Slice the side of the bolillios buns lengthwise but not slicing all the way through and broil for a few minutes; remove and set aside. 3.) 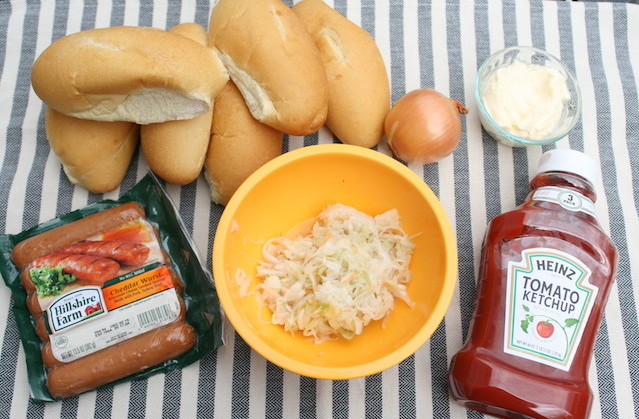 To assemble buns; smear 1 heaping tbsp of mayo onto each bun. 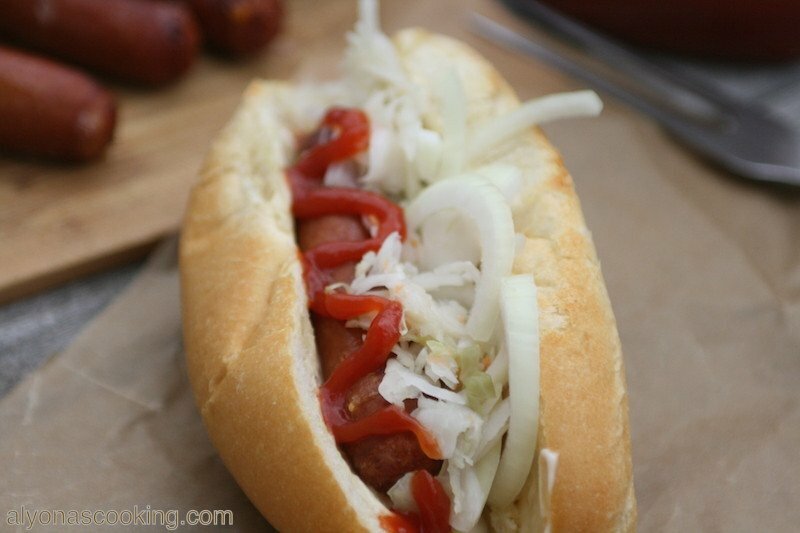 Then add some sliced onions, 1 heaping tbsp of sour kraut and drizzle with ketchup. 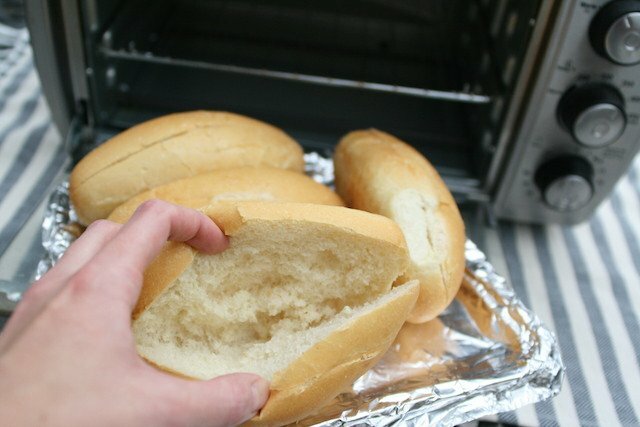 Slice the side of the bolillios buns lengthwise but not slicing all the way through and broil for a few minutes; remove and set aside. To assemble buns; smear 1 heaping tbsp of mayo onto each bun. 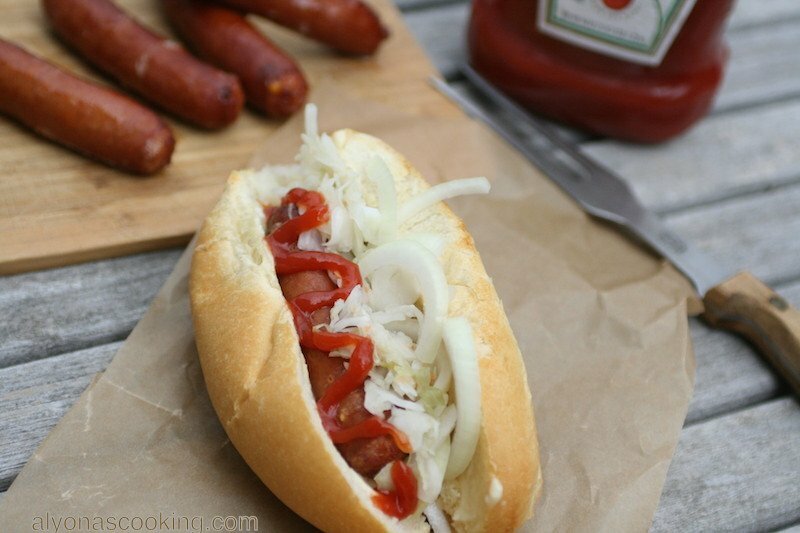 Then add some sliced onions, 1 heaping tbsp of sour kraut and drizzle with ketchup.